We've featured a lot of new fabric lines this year from Benartex, Kanvas, and Contempo. Which one was your favorite, and why? Leave a comment below letting us know! 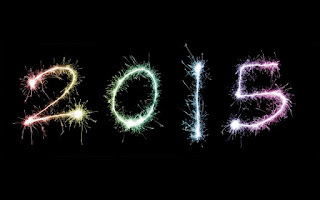 What was your favorite quilting project from 2015? 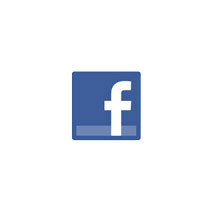 Leave a message in the comments below letting us know what you made and who it was for! Yesterday we shared Jackie Robinson's wintry Chickadees & Berries collection, as well as a few quilts she's made using it. Today we're back with three more projects featuring these bird-friendly prints. 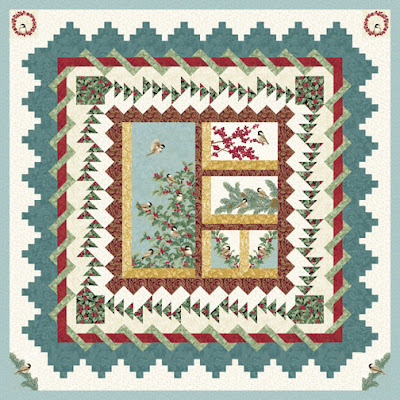 First, Carol Hansen used the panel and a few coordinates to create this seasonal wall hanging featured in McCall's Quick Quilts December/January 2016 issue. 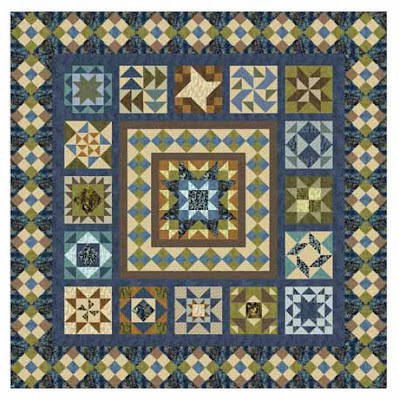 The quilt uses fussy-cut panel pieces plus pinwheel blocks and two simple borders for a result that's simply stunning. 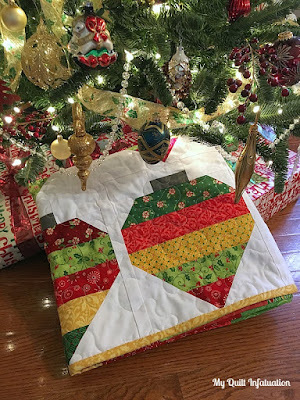 Then, because she's a "user upper," Carol designed a mini quilt that uses up the remaining fabric (and the pattern for this mini quilt is available for free from the McCall's website). Keep reading to learn more about Carol's projects. 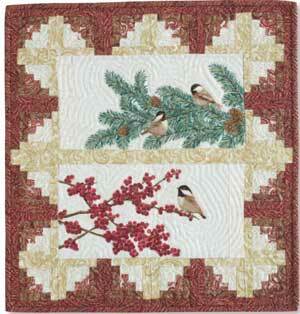 What do you like best about the Chickadees fabric? I like that it looks Christmas-y but it’s not just for Christmas. It’s wintry. It’s not one of those things that you feel like you have to take down the day after Christmas. And I love chickadees. Sometimes in the NW corner of Montana, chickadees are the only bird we see all winter. I’m a photographer and I like to take pictures of them. They’re sweet and cute. 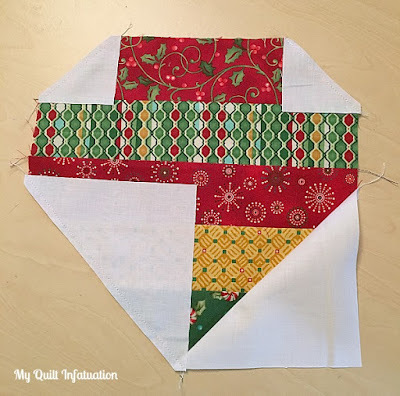 How did you decide on the patchwork border for the center panel piece? I wanted to use the small pieces that came with the panel and I incorporated as many as I could because I like using things up. I added some pinwheels in because they can be made any size—so I could make them to fit the size of the little squares. 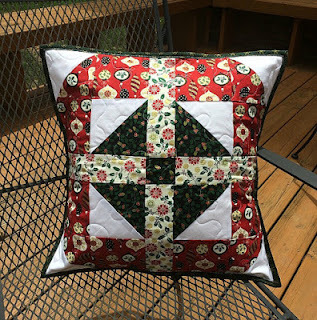 How did you machine quilt this piece? My best free motion quilting tends to be a swirly, design, which worked out really well here. I also outline quilted the birds, just enough to give some dimension. What do you like best about the wall hanging? I love it because it’s got a lot of green in it. My kitchen cupboards are a soft green, so it’s going to fit in really well color-wise. I like things that are woodsy, and it gives me that look, and since it’s wintry, it can stay up longer. Tell us about the mini quilt. I made this because of my compulsion to use up the extra fabric—I’m a user upper. 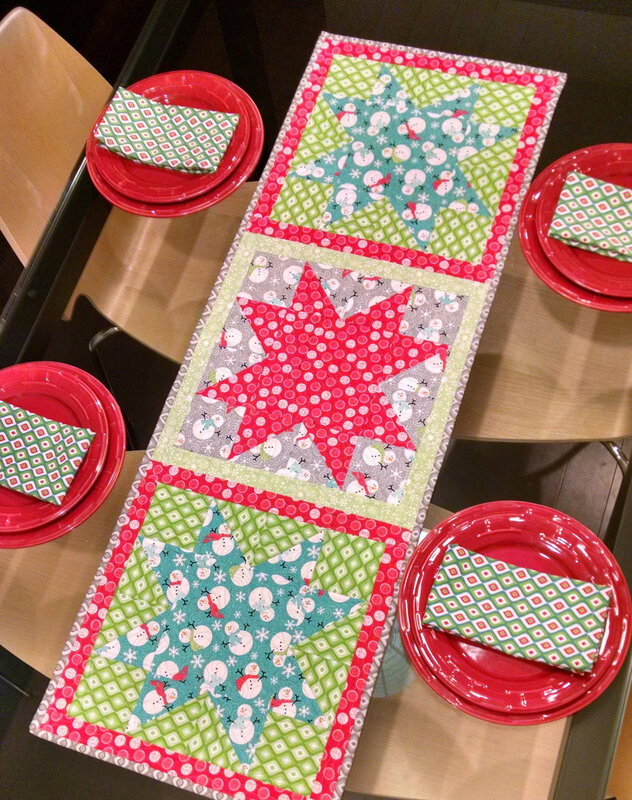 It’s a cute little wall hanging or table topper. I love log cabin blocks, so that’s why I chose to use them around the fussy-cut panel pieces. I actually just hung it on the wall next to my Christmas tree. 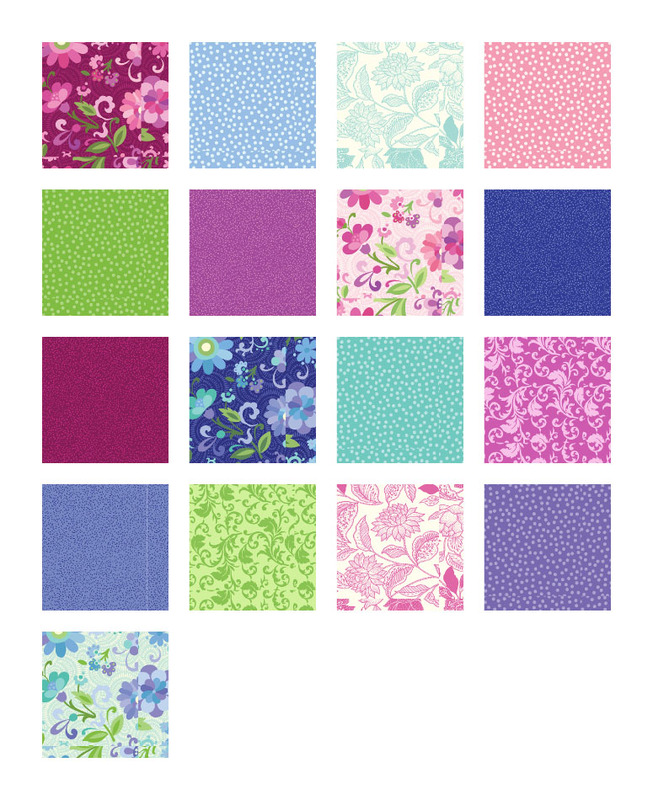 Click here to download the free mini quilt pattern. 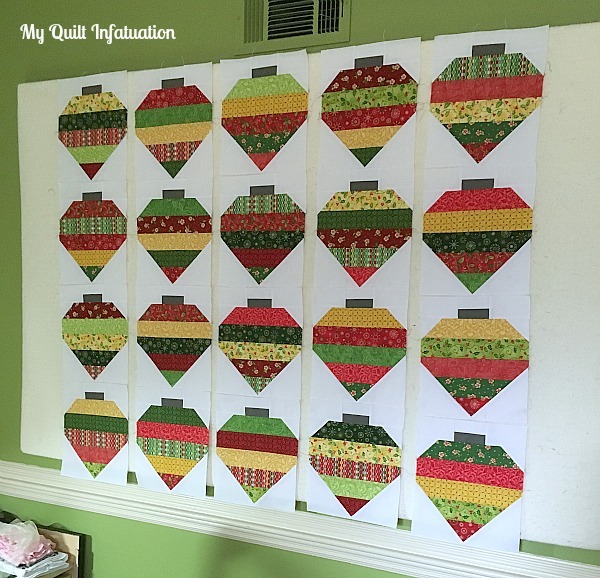 Coordinating mini quilt; free pattern available here . 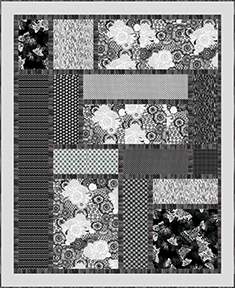 Click here to find the kit for this wall quilt. 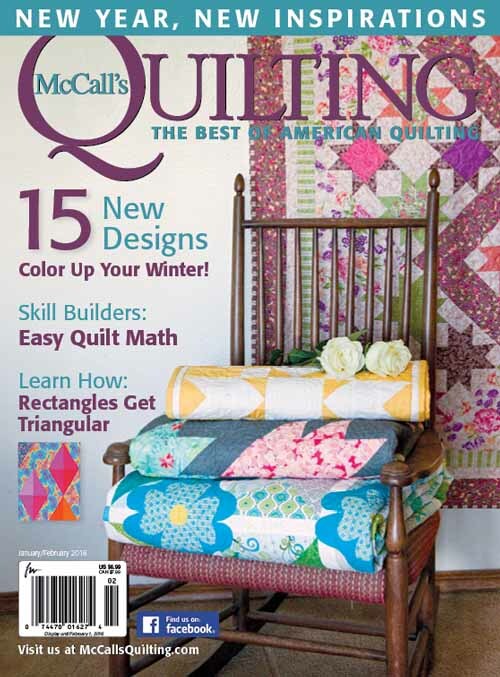 Click here to find the December/January 2016 issue of McCall's Quick Quilts magazine. Next up, Diane Tomlinson used Chickadee & Berries coordinates to create this gorgeous tree skirt. 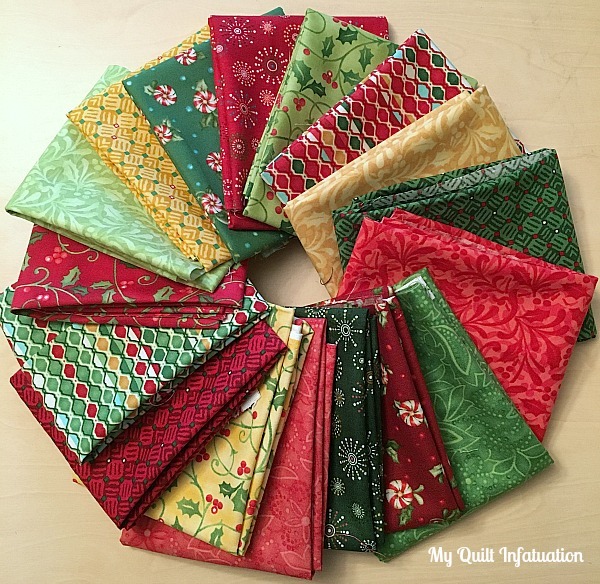 We love the fabric combinations--so different from the other Chickadee quilts we've featured so far--it shows how versatile this collection is! 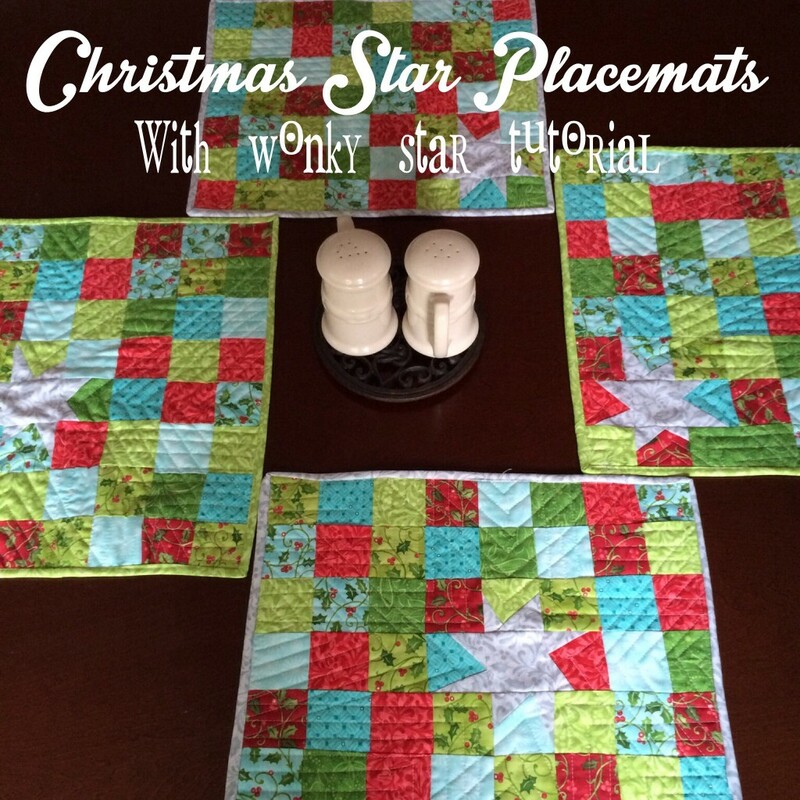 The quilt features a LeMoyne Star design and Deb Tucker's Rapid Fire LeMoyne Star tool. Put this tree skirt on your to-do list for 2016--you'll be glad you did when December rolls around and you have a beautiful new tree skirt ready to use! Click here to purchase and download this pattern. 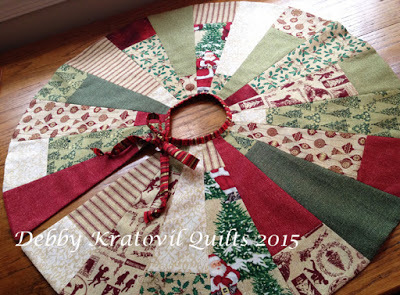 Click here to find the kit for this tree skirt. 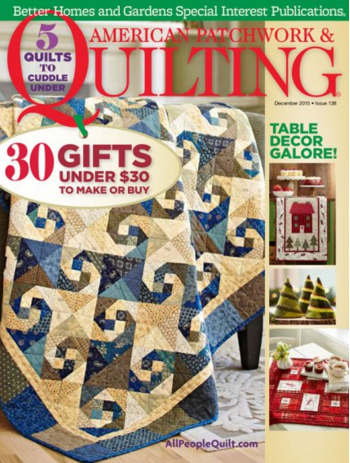 Click here to find the November/December 2015 Love of Quilting magazine. 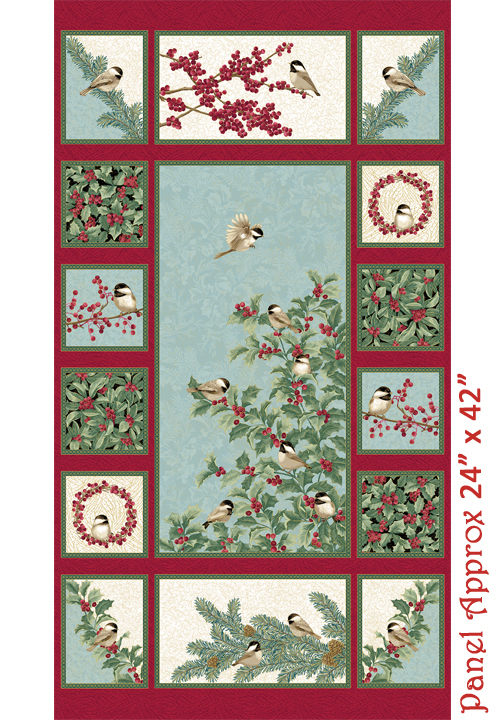 Click here to see the entire Chickadees & Berries collection by Jackie Robinson. 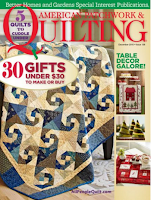 Click here to read Jackie's interview about this fabric line and see additional quilts featuring it. If you've heard Silver Bells and Jingle Bells one too many times recently, Jackie Robinson's Chickadees & Berries line is for you. This soft and soothing collection whispers "winter," rather than shouting "Christmas." That means you can make a project with it and keep it out from late November through February. Such a breath of fresh air in the season of santas! Today we're showing Jackie's collection, as well as a quilt she made using it that was featured in American Patchwork & Quilting magazine. We asked Jackie to tell us about her latest line and her quilt. Tomorrow we'll be back with two additional projects featuring these sweet chickadees. It’s my dearest friend’s favorite thing—her license plate even says chickadee (with fewer letters). She married a rancher and lives 6 hours away from me, and we have trouble getting together sometimes. But she’s extremely fun, and I thought it would be fun to do chickadees. Is this a holiday line? It’s planned to not be just Christmas, but seasonal—more winter themed. 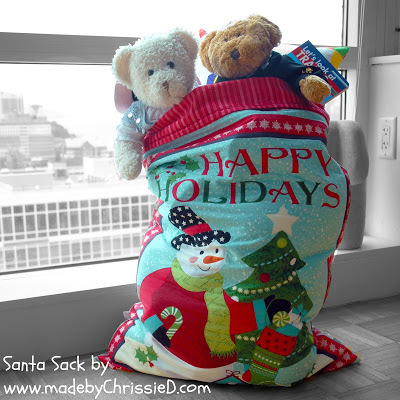 You can use projects made from these fabrics all winter long. What makes the palette unique? What makes it different is the blue. It’s my favorite blue—a robin’s egg blue. It’s very soft and complementary—like a soft, light sky—and it goes well with the more traditional green and red. I sure do like it. I didn’t want it to be a typical panel. I drew up the various shapes and wanted to fill them with a variety of motifs. I think it’s very useable. 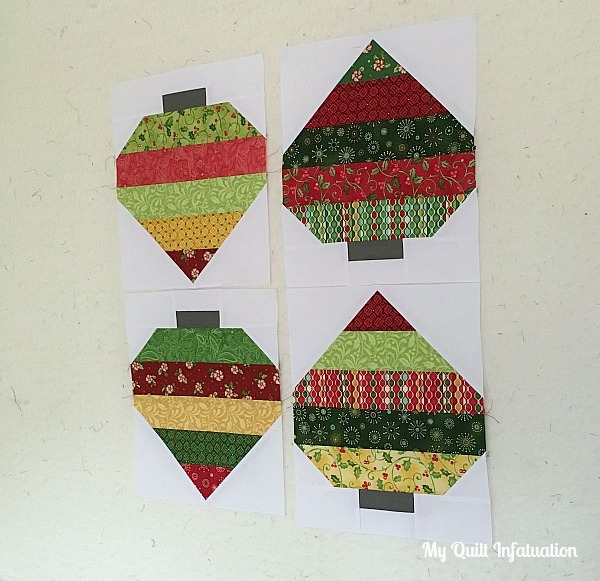 I used the panel in the block of the month quilt I designed (available on my website). It features the panel pieces chopped up (like in this quilt). There are just so many different ways to use the panel. What’s your favorite fabric in the collection? Of course I like all the blues, but I think it has to be the panel because of the bird in flight—it’s just fabulous. And the blue background makes me happy. We are expanding the Chickadee collection for next year with My Little Chickadee! 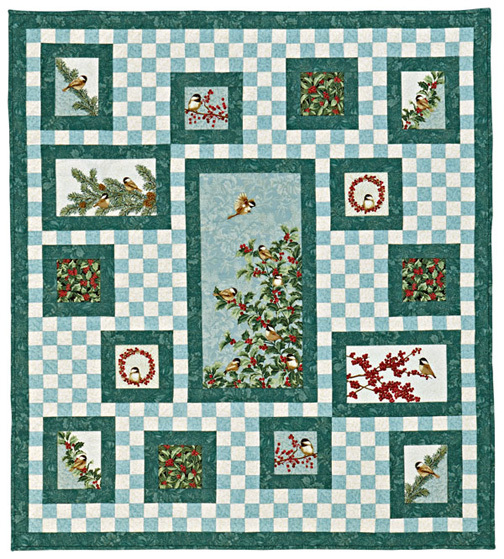 The add-on collection will include a split stripe, cut-able chickadees, a scroll and pinecones, and some more Christmas-y color options. 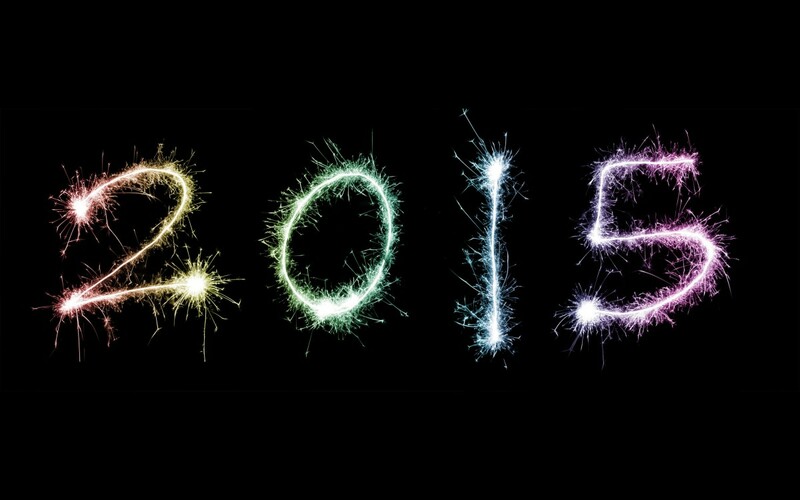 Get a sneak peek here. 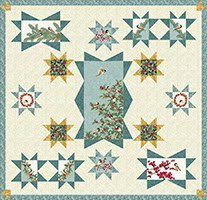 Click here to find the Chickadee Stars free pattern on our website. Jackie also designed Bird's Eye View using Chickadees & Berries, which was featured in the December 2015 issue of American Patchwork & Quilting magazine. The panel pieces really stand out on the checked background. I think the blue has such a sweet little country feel to it. I don’t do country much, but the checkerboard look was such a sweet, fun thing to do. It just translates into the quilt nicely. 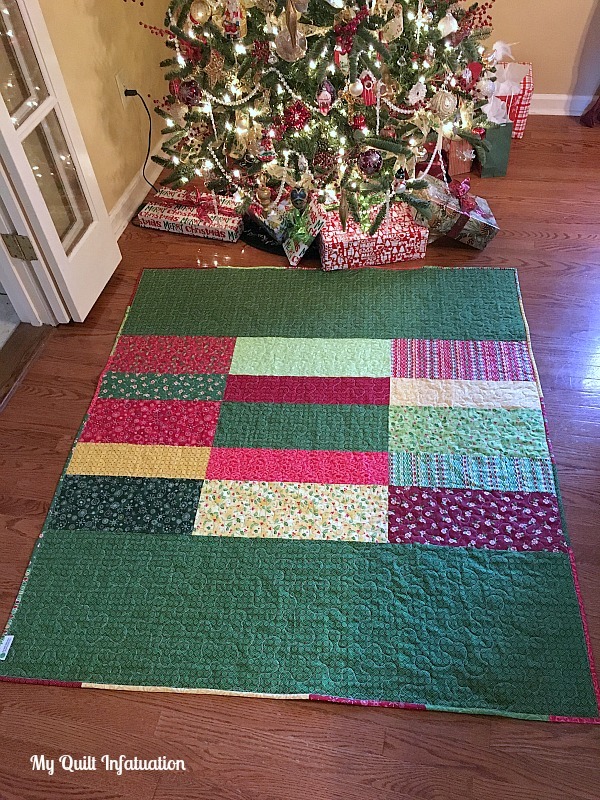 How did the quilt come together? I framed all the panel pieces and designed the quilt on a 1.5” grid, so the pieces fit together easily without a lot of math. It was part of my original thinking on the panel, to have pieces that worked together size-wise. Besides all the blue, of course?! I do like the blue and white checked background. It really seems to be striking a chord with people. Click here to see the entire Chickadees & Berries collection. Click here to find the kit for Bird's-Eye View. Congratulations, ladies! If you haven't been contacted yet, please email your mailing address to sewinlovewithfabric (at) gmail.com so we can get your fabric bundles mailed out! Also, be sure to head over to Debby Kratovil's blog today! She's put together a post in honor of the Winter Solstice--she's trying to entice the sun to return with some beautiful bright color from Paula Nadelstern's Fabracadabra collection! Don't miss her post here. 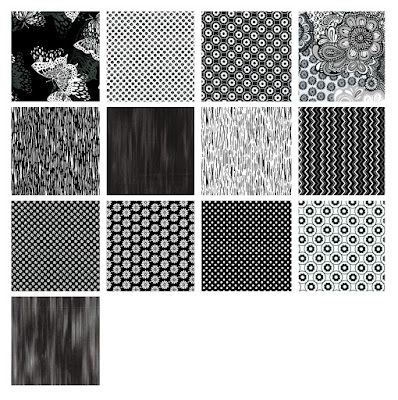 Black and white prints are so fun--they're graphic, they work well by themselves or with almost anything, and they make quilt designing all about value. Maria Kalinowski's Flight of Fancy collection is chock full of black and white favorites. With plenty of variety in scale and lightness/darkness, the coordinates beautifully support the two focal prints--delicate butterflies and the large flower print. 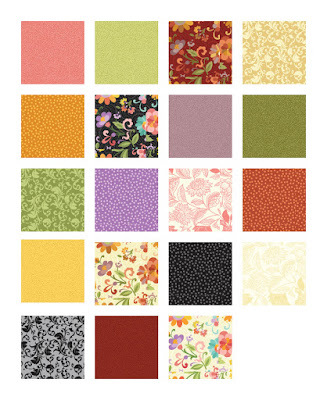 Beyond that, these prints will be a great addition to your stash! Use the Flight of Fancy prints together in modern design that lets the fabric shine--"Butterfly House" by Stephanie Sheridan and Linda Leathersich of Stitched Together Studios. Click here to see the entire Flight of Fancy collection. 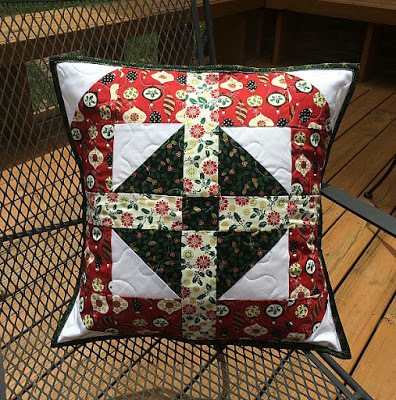 Sign up for the Fernwood BOM quilt created by Fons & Porter. This queen-size (95" square) sampler uses our Fernwood fabrics--a soothing collection of various blues, greens, browns and tans. Click here to find out more about this beautiful quilt and sign up to be part of the BOM. 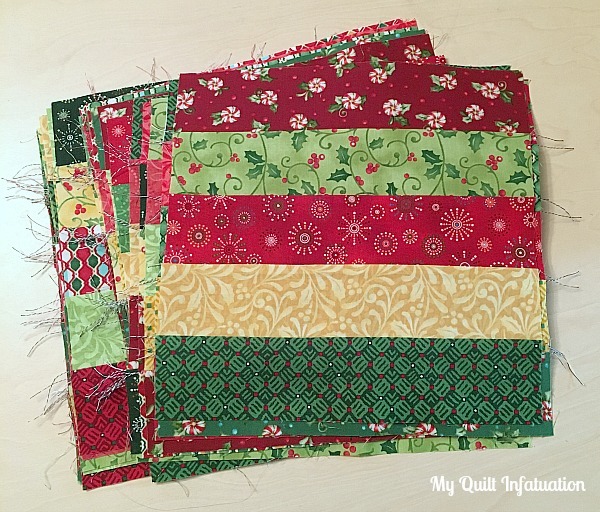 Mix & Match--exactly what every quilter does when she walks into a quilt shop! This fun new collection from E. Vive for Contempo has it all in two color-loving palettes: the bold jewel tones of Fun and the rich, classic colors of Club 21. The prints range from pop art flowers and mini polka dots to rice texture, scrolls and floral sketches. Mix and match the prints and colors you like best! Let Mix & Match open you to a world of creative color possibilities! 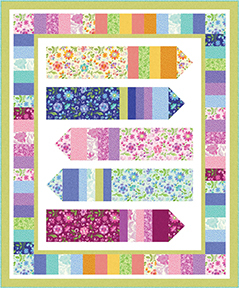 Click here to download this free quilt pattern. Click here to see the entire Mix & Match collection. Recipes, that is...you'll have to do the baking yourself! 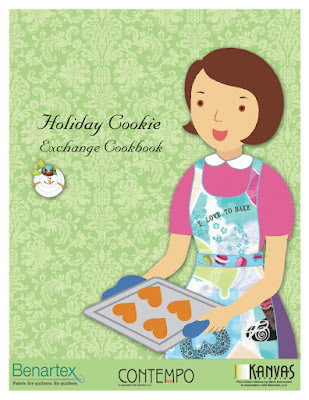 If baking (and/or eating) holiday cookies is part of what makes this season special, we've got a treat for you. Click the link below to find a printable pdf of some of our favorite cookies--we collected these recipes from some of our blogging designers and staff and we love to share them! Click here to download some of our favorite cookie recipes. 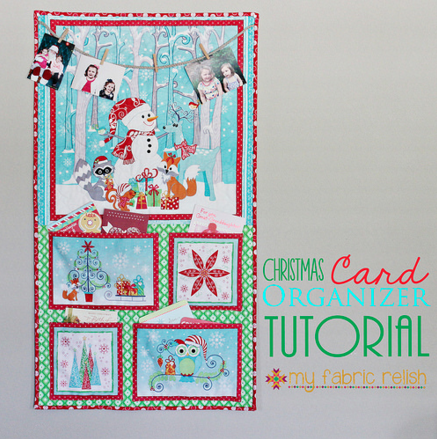 Our Handmade Holiday Blog Hop is finished, but don't forget these fantastic seasonal tutorials, which were featured in our Christmas in July Blog Hop! It's Handmade Holiday Blog Hop time! We've been sharing both gift and decor ideas here on the blog for the last week or so, and today is the last day! Make them now; bookmark them for later. Either way, we hope you'll enjoy the inspiration and ideas to help you get in the holiday spirit and/or cross a few names off your gift list. Today Kelly from My Quilt Infatuation is sharing an a fun ornament quilt made with E. Vive's Santa's Here collection. The ornaments are made using 2-1/2" strips--fast and easy! 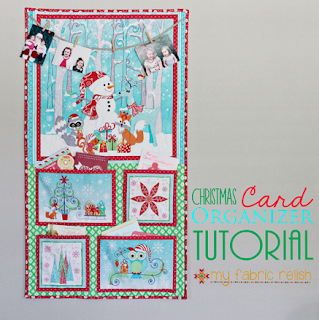 Enjoy her tutorial and then head over to her blog for a chance to win a Santa's Here bundle. Hey there, y'all! 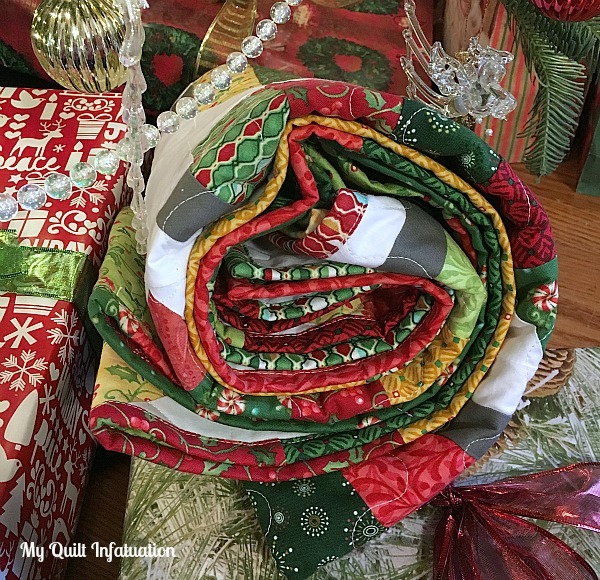 I'm Kelly from My Quilt Infatuation, and I'm delighted to share a tutorial for a festive throw sized quilt with you. This is the time of year when Christmas trees are adorned with beautiful ornaments of all shapes and sizes, and that's just what I'm calling this design. 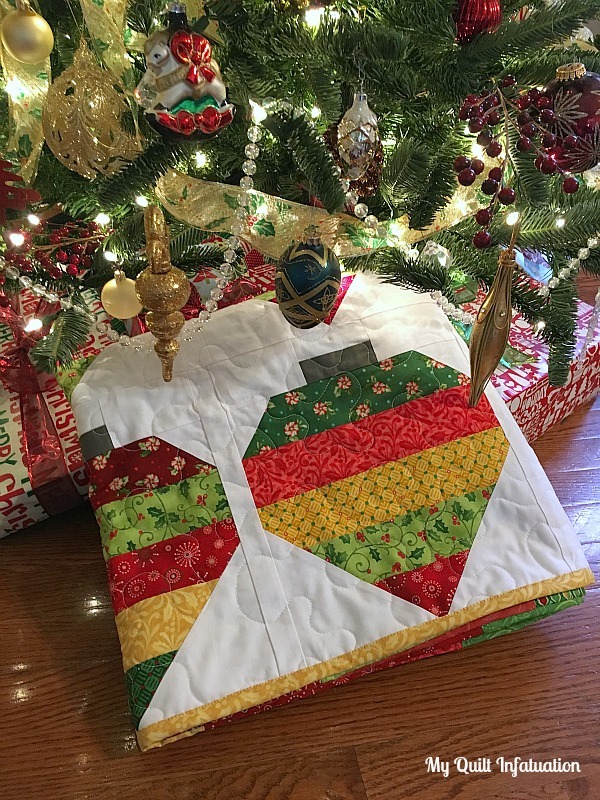 'Tis the season for gift giving and house decorating, and the pretty Christmas fabrics and ornament blocks in this quilt are perfect for both. 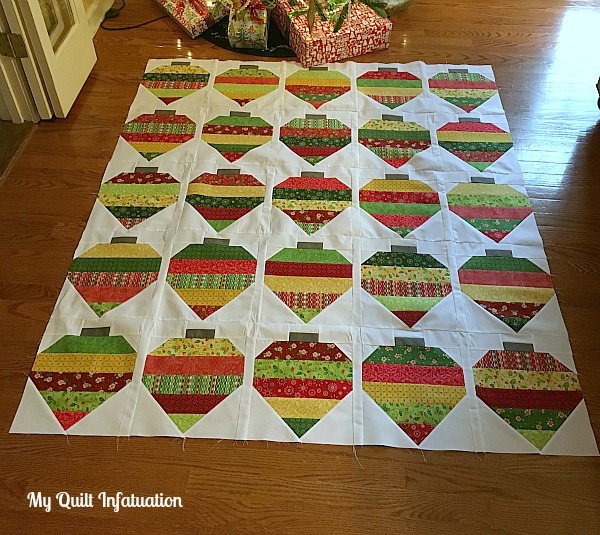 This quilt is quick and easy to put together, which is also a big help as things get hectic! 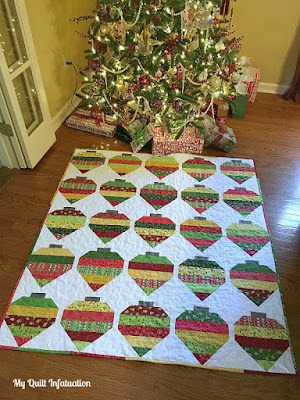 I used the gorgeous Santa's Here fabric collection in this quilt. 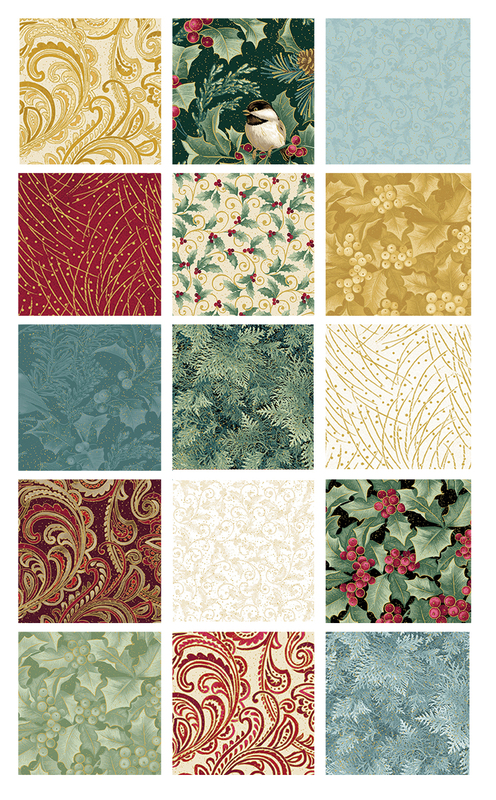 These fabrics stick with traditional Christmas motifs without feeling cartoonish. They feel fresh and modern, and were a joy to work with. One of my favorite things about the collection is the color variation. 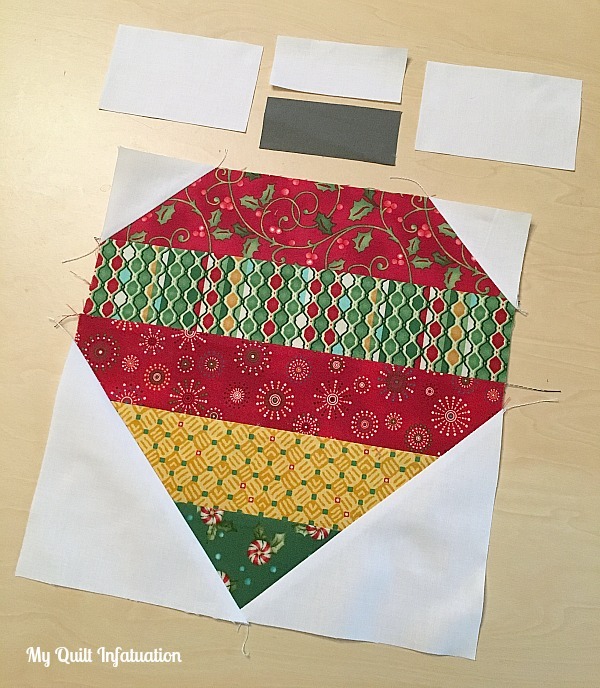 Sometimes when working with a fabric line that is centered around only two or three colors, the colors don't have enough depth, and even if you use several different prints, it is difficult to achieve enough contrast in the quilt. Not so with this line. The reds range from the deepest cranberry, to a lighter, more antique-ish red; and there are several distinct green hues to play with as well, from dark hunter to light sage. *9 fat quarters- I love lots of fabric variety in my quilts, so I used 17 fat quarters, and just used the leftovers in the binding and backing. As long as you start with the correct number of strips (125) for the ornaments, you're good! Press your fat quarters to be sure your cuts are accurate, and cut each fat quarter into 14 strips, measuring 2.5" x 10.5" each. 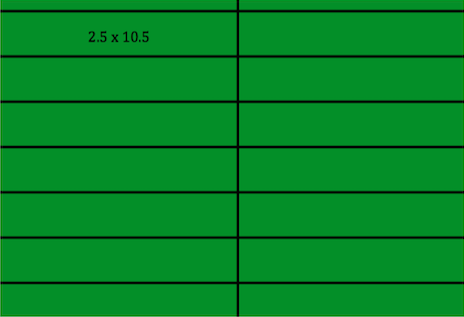 Please note that the cutting diagram below is not perfectly to scale, and all strips are cut the same size. This yields 126 strips with virtually no waste. You need a total of 125 strips for the Adorned blocks, so if you want to use a wider variety of prints as I did, go for it! Just make sure you end up with 125 total strips. Now, onto sewing the blocks! Sew with a 1/4" seam, and either press your seams open or to one side as you prefer. Start by mixing up your strips to create strip sets of five different strips in each set. 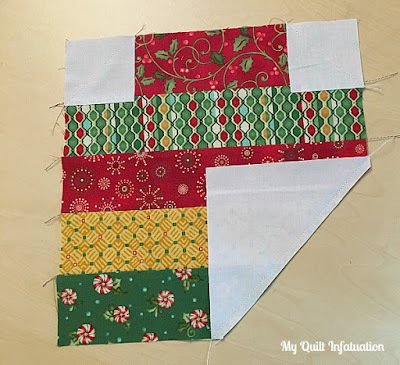 Take one strip set and sew the strips together to make a 10.5" block. It's also important to note that I prefer to sew my blocks in stages. That is, I like to sew and press all of my strip sets, then sew and press the corners for all blocks, etc. I find that it is a little bit faster for me, but I know that some quilters make a single block from start to finish before moving to the next. Either way works; it just depends on your personal preference! Sewing the corners is up next! This block is really just a simple variation on a traditional snowball block. By varying the corner square size, the ornament has an interesting shape that is rounded at the top and pointed at the bottom, like so many of the old fashioned ones I love. 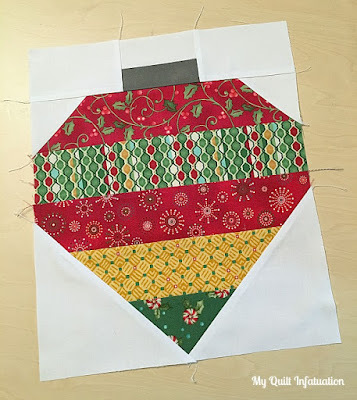 A simple snowball block with uniform corner squares would yield more of a ball shaped ornament. *Use a piece of painter's tape as a guide. Align the edge of the tape with your needle and extend it several inches on your table. Keep the corners of your squares lined up with that edge, and you'll have no trouble keeping your seam straight and accurate! For the corners of each block, you will need two 2.5" squares, and two 5.5" squares. 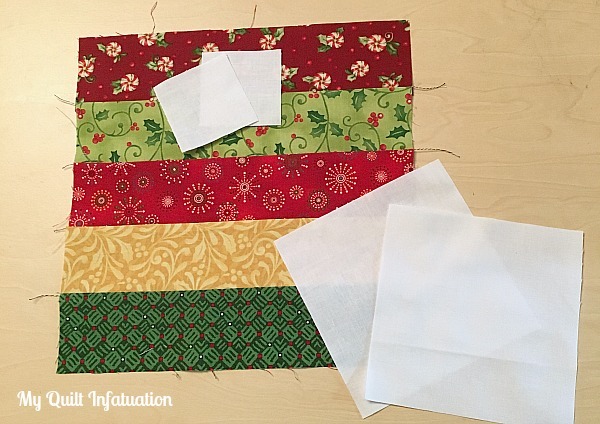 Sew the 2.5 inch squares to the top two corners of your block, and sew one 5.5" square to a bottom corner. Don't sew the second 5.5" square just yet! Trim the 5.5" corner to 1/4" seam allowance. Press it open, and then sew the remaining 5.5" square to the last corner. Again, trim to 1/4" seam allowance. While you're at it, you might as well go ahead and trim those top ones too! Press all four corners open, and voila...a lovely ornament shape! 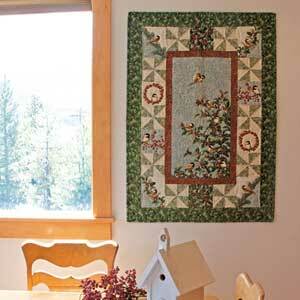 Trim this portion of your block to 10.5" square. 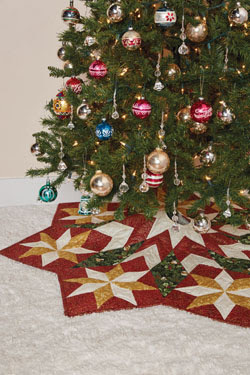 And then sew your ornament cap piece to your block. These blocks are rectangular, finishing at 10" x 12" in the quilt, so trim your block to 10.5" x 12.5" if needed. You'll need 25 blocks for this quilt. 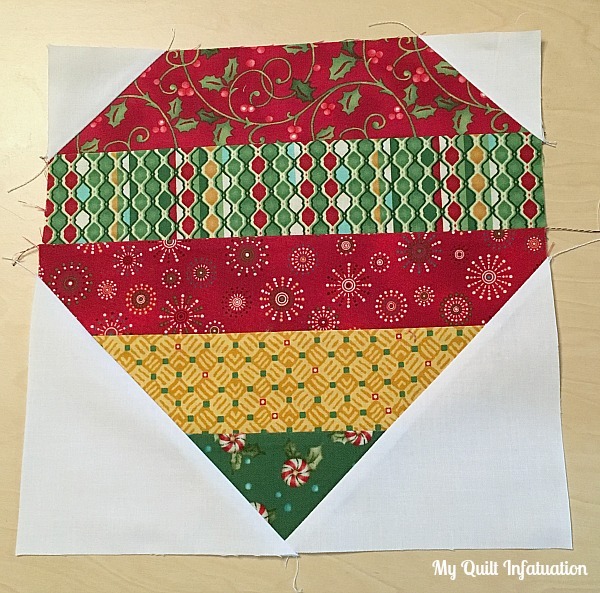 Of course, this tutorial is written for a throw sized quilt, but if you want to use this block for smaller projects, it would be just as cute. I'm thinking a few of these would make an adorable table runner or table topper. Just keep in mind that since the blocks are rectangular, you can't orient some of them horizontally and others vertically, and have them still fit together. 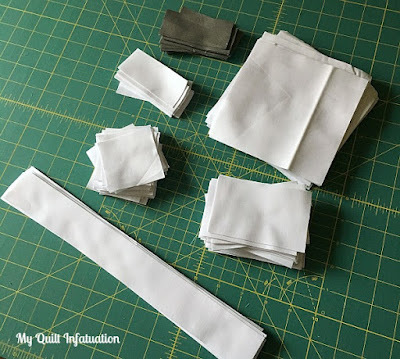 To do that, you would need to add additional sashing to the sides, making it square (and of course, if you wanted to do that, you probably wouldn't want the additional sashing listed). **This is a break from the tutorial, and would require a little extra fabric math on your part, but I'm just trying to point out some options if you want to branch out a little bit. I decided on a straight layout for my quilt though. So, sticking with the tutorial as written, just lay out your blocks in a 5 x 5 arrangement (my design wall isn't quite big enough, so the last row of my blocks are laid out on the floor underneath). Notice the gaps between the blocks? That's where your sashing strips go. Sew your blocks together with sashing strips between (do not sew sashing to the beginning or end of the row, only between the blocks). Then sew your five rows together. Because of the way the ornament caps are constructed, you don't need sashing running horizontally between the rows. Then just baste, quilt, bind, and snuggle! As I mentioned earlier, I used way more prints than necessary. 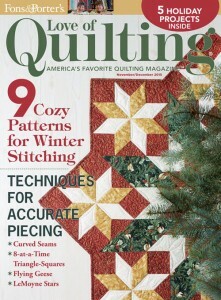 I love to do that, because I enjoy pieced backings in my quilts. Since I use the leftovers in the backing and binding, I can use tons of variety, but without creating a hoard of scraps. I rounded out the leftover fabric on the back with one of the darkest green fabrics in the collection, and I even made a scrappy binding. 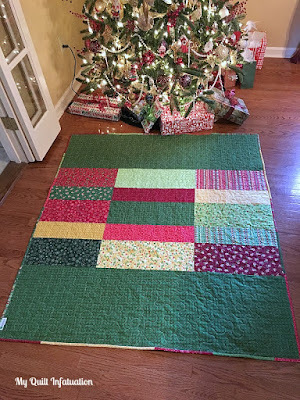 This quilt was fun from start to finish. It measures 54" x 60," so it is a very generous throw size for covering even an adult. The traditional colors paired with more updated, modern prints in this fabric line look right at home in my living room with my other holiday decor. Of course, it's not going to stay under the Christmas tree, but it looked so perfect, I couldn't resist taking the photos there. 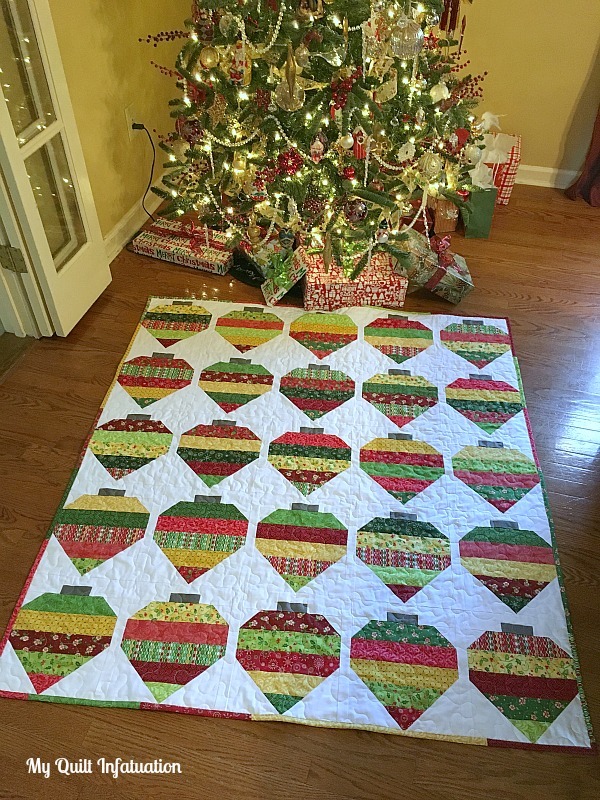 If you need a quick gift, or a new quilt to brighten up your own holiday decor, I hope you give the Christmas Adorned quilt a try! Benartex is generously offering a fat quarter bundle of the Santa's Here collection line to a lucky reader! Pop over to my blog to find out how to enter! I have truly enjoyed sharing the Christmas Adorned quilt tutorial with you, and I hope you'll come visit me at my blog home, My Quilt Infatuation to browse around. I always have lots going on. Merry Christmas to all! 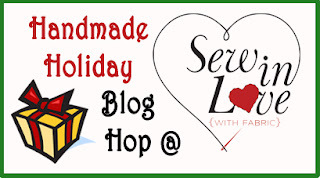 Don't miss any days of our Handmade Holiday Blog Hop!